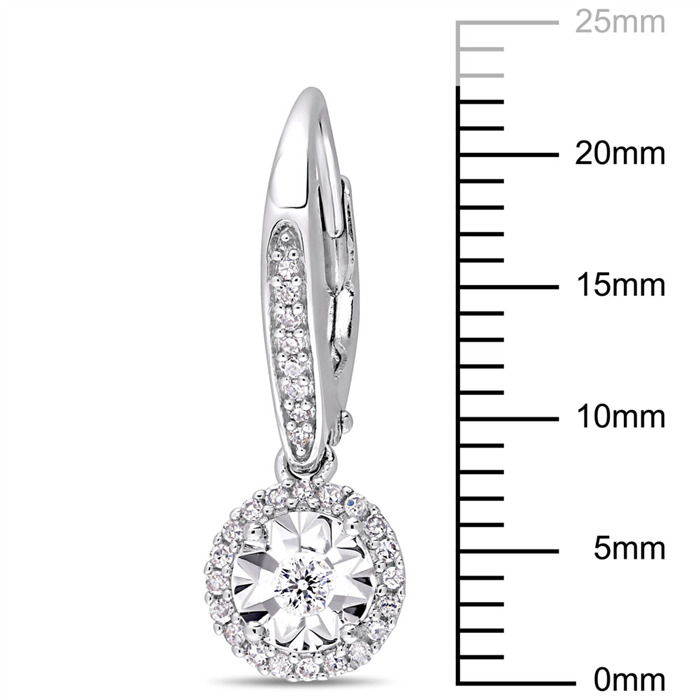 Whatever the occasion diamonds are always bright, beautiful, valuable and always in style. 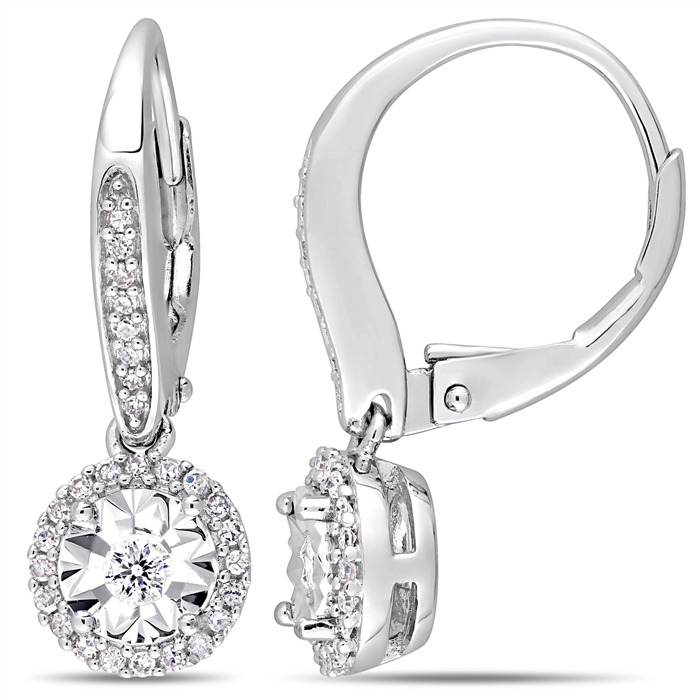 Here's a pair of dangling diamond earrings in a classic round shape enhanced in a halo style and illusion setting. The perfect everyday earring for yourself or for someone special.